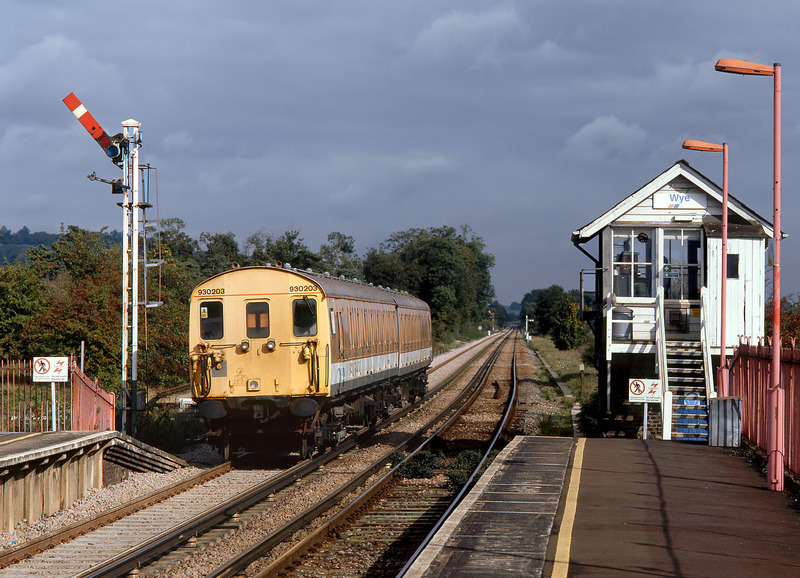 Under a threatening sky and neatly framed between the upper quadrant signal and the 1893 built South Eastern Railway signal box, former Class 416 2-EPB 930203 (65341 & 65355) heads north through Wye on sandite duties on 10 October 1998. Oddly this unit (which was scrapped in 2004) was not a single withdrawn Class 416 taken out of passenger service and converted for departmental use. It was in fact formed from half of two different units, with 65341 (renumbered to 977864) coming from 6227 and 65355 (renumbered to 977865) coming from 6241.